Arthur F. “Bud” McGinty, 72, of Brodhead, died on Wednesday, March 22, 2017, at his home. He was born on July 15, 1944, in Muncie, Ind., the son of William and Mernice (Valentine) McGinty. Arthur and Susan Brandenburg were united in marriage on Jan. 30, 1965, in Chicago, Ill.
Arthur graduated from Proviso E. High School in Mayward, Ill. He owned and operated Southtown Hardware and Variety Store from 1973 to 1995; he then worked for Daniels Sentry in Janesville from 1995 until retiring in 2013. Arthur was a member of the Brodhead Volunteer Fire Department, the Brodhead Lions Club, and the Brodhead Chamber of Commerce. He enjoyed old western movies. He is survived by his children: Dan (Terri) McGinty of Janesville, Deborah (David) Schenk of Monroe, Dennis (Ann) McGinty of Oregon, Derek McGinty of Brodhead; nine grandchildren and one great-grandson; brothers, Mike McGinty of Kenosha, Patrick McGinty of Brodhead; sisters, Marcia Tedford of Momence, Ill.; Bridget McGinty of Huntley, Ill.; and Katheryn Stoneburg of Gurney, Ill. He was predeceased by his parents, and sisters Alice McGinty and Sheila Ray. 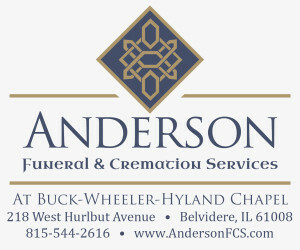 Funeral services were held Monday, March 27, at 11a.m. at the Everson Funeral Home in Brodhead with Rev. Kathleen Rinear officiating. Burial followed at Greenwood Cemetery in Brodhead. 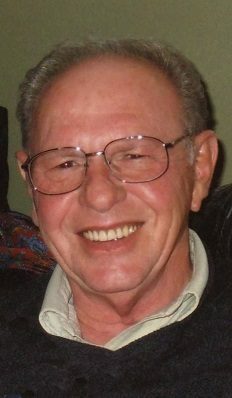 Visitation was Sunday, March 26, from 2 to 4 p.m. at the Everson Funeral Home in Brodhead.